Sitting in a small humid space isn’t everyone’s dream – for the health conscious steam lover though a portable shipping container sauna conversion might be absolutely ideal. 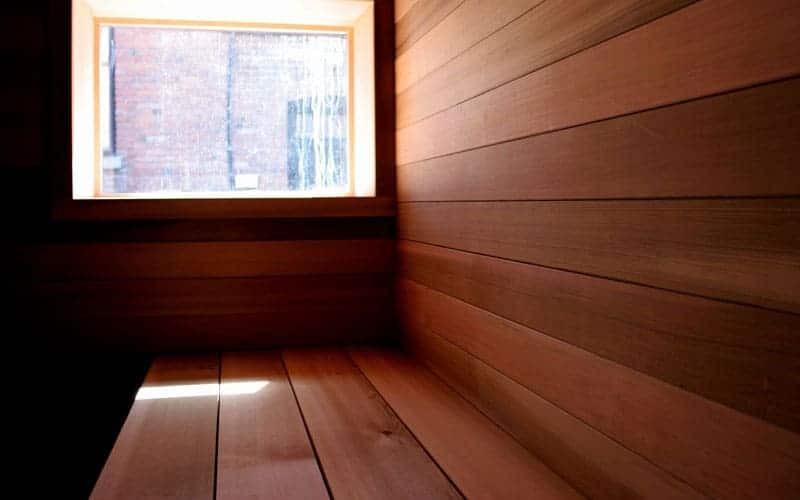 Toronto based design company Castor created the Sauna Box in 2005, since then they’ve sold several units to customers who want a sauna with a difference. One of the founders of Castor, Brian Richer, dreamed of having a sauna at his holiday retreat but didn’t want to be stuck driving back and forth to build it. That’s how the idea of a portable shipping container sauna came to light and it didn’t take long until the first one was built. This unusual little thing can be loaded up on a truck, then taken anywhere and is completely self-sufficient. 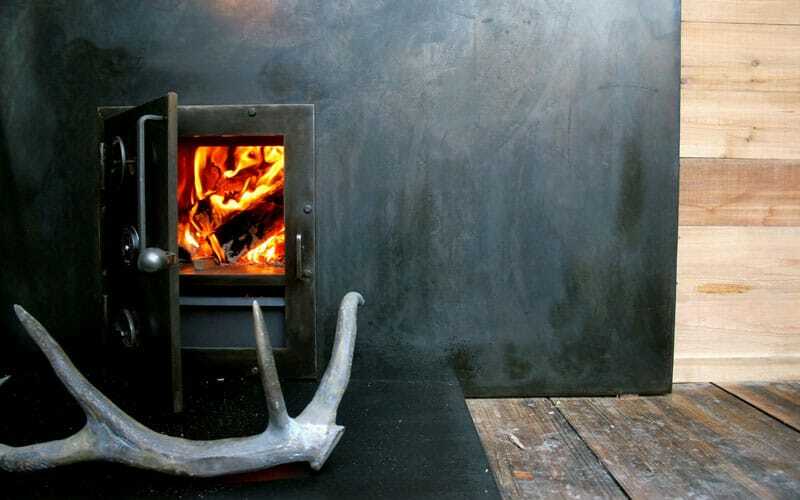 The Sauna box comes with a shower, traditional wooden stove, western red cedar interior, magnetic truck lights and bronze antlers for decor. 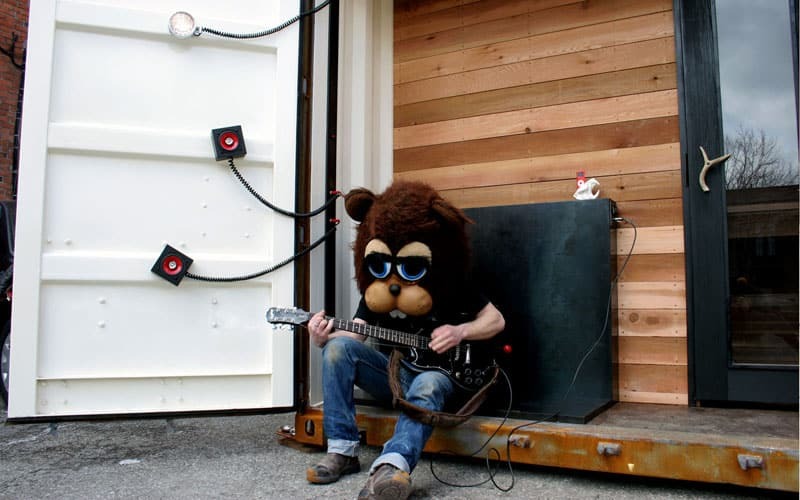 It’s also equipped with a solar powered rooftop which provides electricity for an iPod stereo and an electrical guitar hook-up for entertainment. Self sufficient and mobile sauna. Image courtesy of Castor. The price tag is currently $41,000 and can be purchased through NYC based retailer Matter. Ok perhaps it isn’t the cheapest sauna you can buy but how can you put a price on this kind of creativity and convenience? Thank you to Castor for their permission to use these images. 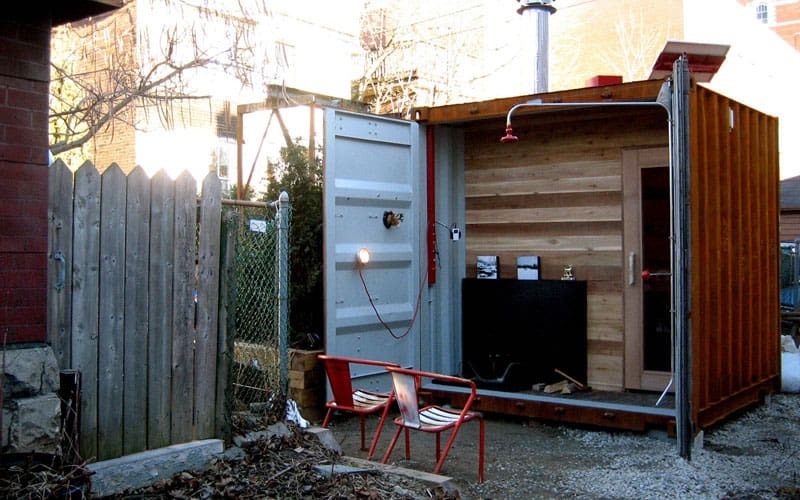 Adaptainer had no part in the design or build of this shipping container sauna.